Fake Scots lawyer says he has bought gun to deal with the ‘girls’. Well of course this is getting a little silly now. Down in Koh Samui our fake lawyer Brian Goudie is now posting on Facebook that he has acquired a gun for 85,000 baht with his work permit and ‘yellow book’ and is apparently gunning for ‘the girls’. This instability seems to have been emerging, since he started posting odd pictures with the message ‘Revenge’ and ‘Rage’ on another Facebook page. On his case-watch-thailand.blogspot.com ‘Keeping An Eye On The Issues’ he claims his colleague in the merde so to speak David Hanks, former owner of Masquerades Brothel in Keysorough, Victoria, has contacted his son-in-law Police Officer Trumbower of Florida State University Police in Tallahassee, Florida, who is apparently a friend of President Clinton. He has claimed that a poster to this site Ally Cooper has made an imaginary threat against the life of Hilary. I do not know what is the obsession these guys have with the Clintons. Goudie’s friend Drew Noyes made a speech involving Hilary, Bill, and Monica Lewinsky at a meeting of the Pattaya City Expats Club. This is all getting a too bizarre. Jason Trumbower, according to Hanks, has put the US Marshalls and Secret Service on alert. If Jason Trumbower is the son-in-law of David Hanks, which is very probable, his wife Donna formerly worked in Melbourne but now works in IT at the Florida campus, I’m betting he’s not not going to invite daddy-in-law to a barbecue in his front yard.want and David Hanks will not be thanking Goudie for this latest outburst. I’m trying to imagine the conversation between Trumbower and Bill. Er, well never mind. This is straight-jacket time. Goudie talks like he’s an expert on guns – one sure way of telling that he isn’t. Police in Koh Samui have been alerted (but unofficially at this stage) as on the last two occasions he has been confronted he has been white with rage and I would not let this guy loose with so much as battery operated children’s Darth Vader sword. He’s just put of over 500 gun pictures on his new flicker site. “Over time my relationship with Brian Goldie deteriorated. He had become very controlling and as the money began to run out he came to deeply resent that I was a student living only on Austudy. He started to insist that I give up my post-graduate teaching degree to work full time. He became unpredictable in temperament and violent towards me when he was angry or worried about money. At different times he punched me in the face, grabbed me around the throat, punched and mistreated our dogs, broke my belongings, ridiculed my university degree, turned over the table that my work was on, threatened to wipe my assignment work on his computer, pushed the TV onto the floor and turned over the contents of the house. Brian Goldie also ridiculed my family and friends in front of Jim Cochrane and made them feel unwelcome. He sometimes forced me out of the car without shoes or money and told me I could walk if I didn’t agree with him. There were many other incidents of physical and psychological abuse, including threats to shoot and stab me”. It’s possible his mood swings are becoming more frequent because officials have started unwinding the web he has created with his list of companies, Ramidin (Hong Kong), Ramidin Holdings, PBS, Alba Laws, Bang Kao Bay, Jimi International etc etc. none of which have appear to have paid any tax, and beginning to realize that almost everything is fake. A mystery director called Robert Rose, however is not. Hi Bobby. But only the other day he and Hanks and a Russian were clambering happily over the rocks and debris, and used condoms, on Bang Kao Beach for a picnic. That way you’ll only get 33 years or so for littering, and you’ll have a good chance of reduction of that sentence with an insanity plea. Either the Secret Service have been directly on the blower to Goudie, hiding behind a rock on Bang Kao Bay, or, er, Jason was indeed not amused. I’m opting for the latter. 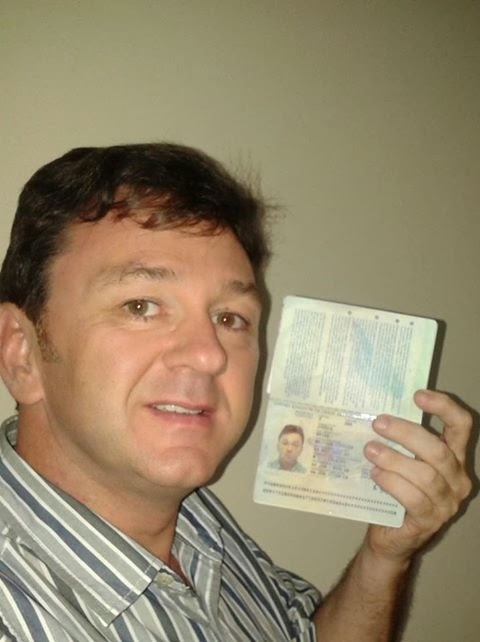 And finally Goudie has been on his site again with the following – showing a picture of him and his passport. Well, slap my thigh with a wet haddock. 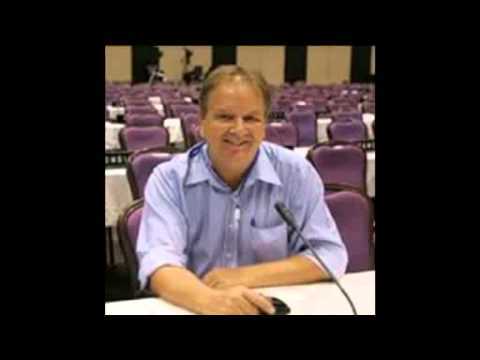 Can you imagine this conversation in Koh Samui police station, where incidentally they are aware of Goudie already? If this is his best shot, whoops pardon the pun. (His ‘There have been so many fabrications to be honest we don’t know where to start to take legal action’ is clearly true) Where does he go from here? Well, on and on we presume. This is of course a man who beat up his Australian wife so much so that he had to take an injunction out against her (as she had done to him) having found a legal loophole which would allow him to stay in Australia (It failed) while the injunction was in play. But that’s interesting because the information that Goudie’s passport had been taken by the court had come from Jepson’s lawyers and the Hanks information came from the DSI. I will of course need to verify. He certainly has a record which indicates he is a flight risk. Meanwhile the Three Amigos, Goudie, Hanks, and Noyes seem to be slightly at odds with each other. Goudie describes Noyes as a ‘bampot’ and Hanks now seems to prefer fellow Scot Goudie’s company to that of Noyes. They had a falling out over Hanks’ arrest at the request of the DSI. Noyes had been very indiscreet. Had he not been we would not have known of the arrest at all. Hanks wants to go back to Australia and Noyes says he is helping him but at the same time Noyes does not want his star witness – whom he says will get him off his blackmail charge, out of his sight. “I have concluded that Mr Goldie is not of good character. The lack of honesty and integrity which he has displayed in his dealings with the Department and his lack of integrity (in the sense of wholeness, soundness and uprightness) in not confronting the allegations of fraud in Scotland are not outweighed by the good reports he has received from some of his past employers or Mr Grant’s* personal commendation of him”. Mr.Grant was his boss at the mining company which Goudie later robbed.